Thanks for posting this photo. My brother Greg and I were arguing about the history of this building, which was an active and profitable restaurant in the 60’s and 70s. We were both raised in Anchorage and had memories of it and its competition a couple blocks down the street, the Rice Bowl. After the Rice Bowl moved east on 6th avenue the entire block of buildings (which included the notorious Monkey Wharf Bar) were razed to clear the way for the construction of the U.S. Park Service’s new building. 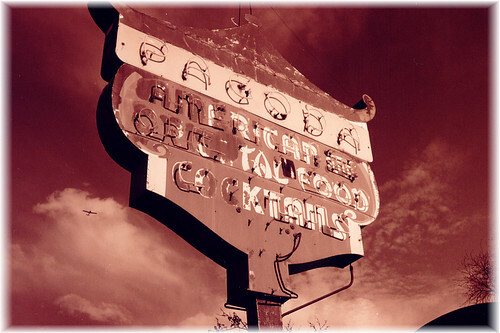 Sadly, I never made it into the Pagoda before it shut its restaurant doors, or later during its brief life as a coffee shop. Today it is a quiet reminder to me of the “good old days”, a source of mystery and curiosity, and fodder for addled old fart arguments with my brother over half-remembered Anchorage icons. Good times, those were.